*Authorized Dealer of Bullfrog Spas* Mission Valley Spas began in the Saddleback Valley in 1994. We are very unique as we are a retail showroom that offers design and construction services. The Brands that we represent are Bullfrog "JetPak" Hot Tubs, Catalina Swim and Exercise Pools (also known as Spools), All-American Acrylic In-ground Spa Shells and DreamMaker Spas. Top Provider of Hot Tub and Swim Spas, at over 150 fairs and events a year. Dynamic Saunas has dedicated its primary focus to designing and developing superior, high-quality products in the very concentrated and diverse competitive markets. Encouraging innovative creativity in product development inspires us to provide the best possible products at the best possible values. And with the understanding that after sales service is vital to the operation of a successful company, we put forth great efforts in providing the most outstanding customer service. 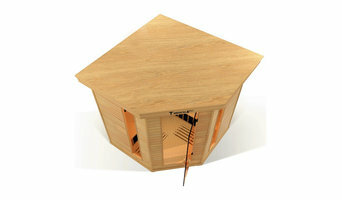 We are the largest seller of Low EMF or Near Zero EMF FAR Infrared Saunas in North America. We are located in 100,000 square feet facility in Ontario, California with over 4000 saunas in stock. 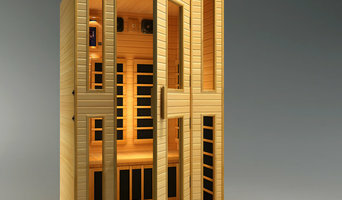 Dynamic Saunas are designed to for your wellness and wellbeing. 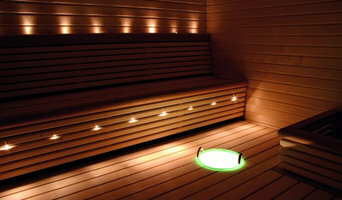 Manufacturer and Distributor of Saunas, Fitness Equipment, and Wellness. We have been in the outdoor living industry for over 16 years and with the constant rise in the cost of utilities we strive to provide the most energy efficent, waterwize, and low maintenance designs possible and believe in the use of renewable resources wherever possible. We take pride in the work we preform and love what we do. In every job we dedicate 110% to ensure our customers dreams and visions come true in every project. It’s important that you do some research before visiting a local Rolling Hills spa and hot tub dealer. While they can give you lots of information about features and financing, you should have an idea of where you would like to position your spa and what its main function will be. Do you plan to use it mostly for relaxation or socialization? How many people will be using it? All of these things will help the hot tub dealer pick the best models for you. Decide who will be responsible for daily maintenance in your household and if the extra energy costs are something you’re actually willing to incur. Also, know that most hot tub stores in Rolling Hills, CA let you do test soaks, also known as a “wet test”, where you can throw on your suit and take each model for a spin in the showroom so you know exactly how they feel before purchasing. Don’t be shy — just think of it as test driving a car! Find spa and hot tub dealers in Rolling Hills, CA on Houzz. Narrow your search in the Professionals section of the website to hot tub and spa dealers in Rolling Hills, CA. You may also look through photos to find hot tub designs you like, and ask about the details of the spa, including the manufacturer and where it was was purchased.